It is not just us who need a good night’s sleep in a cozy bed, dolls like enjoy a good snooze. 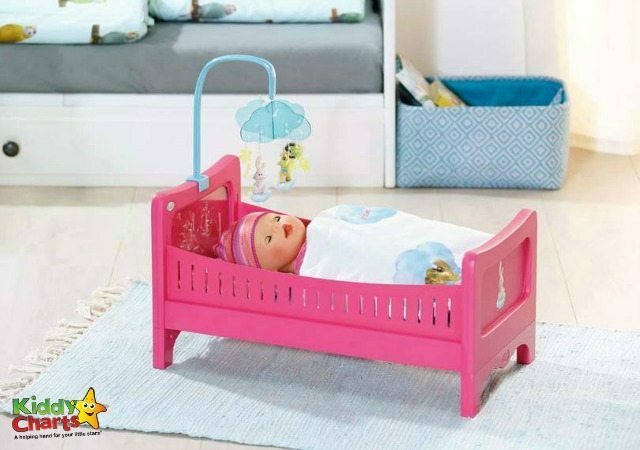 We at KiddyCharts think cute beds make all the difference and this Baby Born bed is just perfect to rock your doll into the land of sweet dreams. 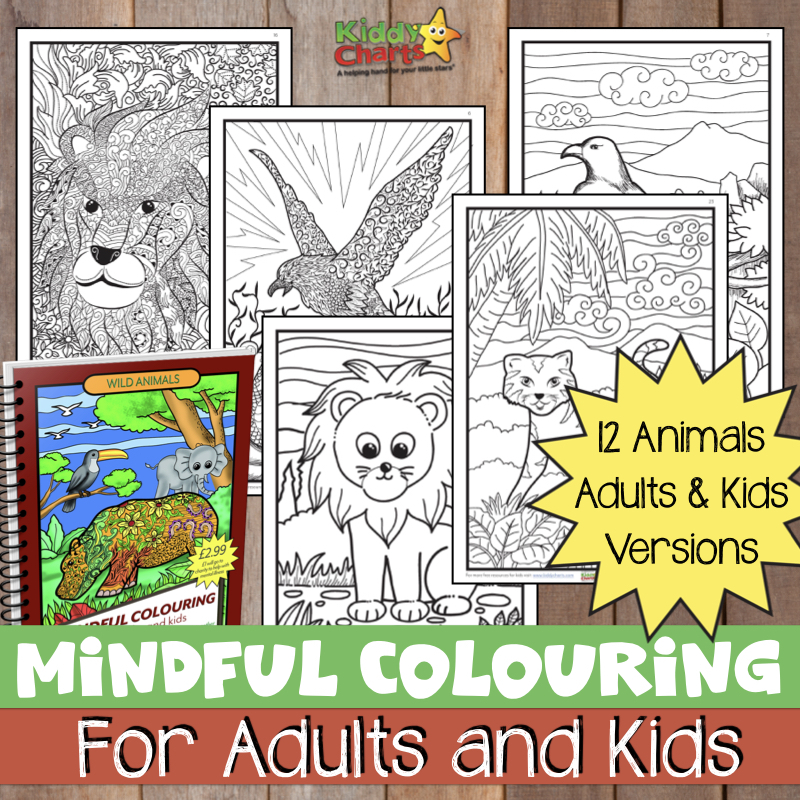 Not to mention your little ones will love it too. We have joined together with Talk to Mums and Zapf, who make Baby Born, to offer you one of these great beds to help with imaginative play. While your children play with the toys, don’t forget to check out Talk to Mums, as it might just be what you are looking for – a way to get back to work while you are still able to look after those kids. Talk to Mums pay you to share products with friends, family, and locally, while you are out and about with the kids. If that sounds like something for you, then do pop over to their website and take a look. It is so easy to sign up to be paid to be a brand mumbassador today! Check out their Facebook page too, and share with your friends; they’d love to have more of you join so they can work with even bigger and better brands. They have already helped spread the word about Kettle, Ecover, and Nairn in the last three months. 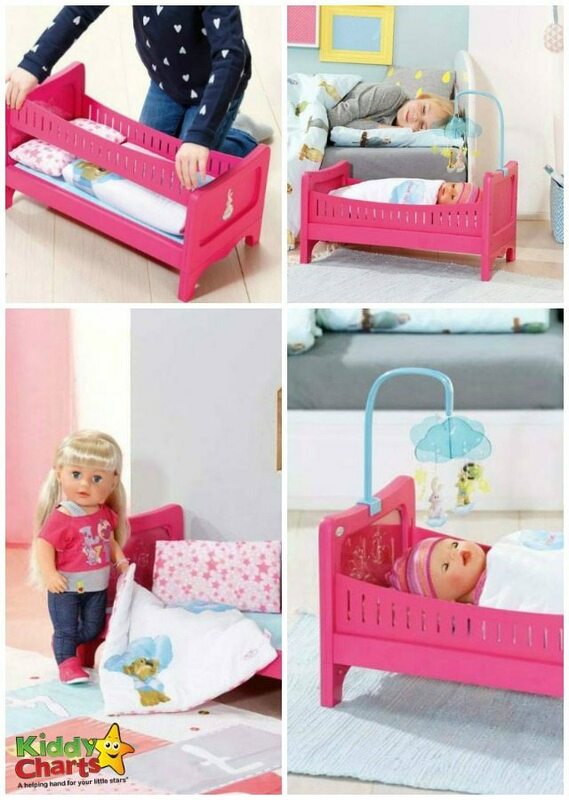 “Good night BABY born®!” – “Good night sister!” BABY born®’s new bed is a dream in pink. Her animal friends watch over her sleep: As a magically lit headboard with sound, Berta the duck provides great light for falling asleep and Benno the bunny lays on his dreamcloud at the foot of the bed. Bruno the bear’s job is to catch dreams on the cuddly soft reversible cover. Of course the bedding cannot do without a cushion with little stars. And all of her friends watch over BABY born® from the mobile starry sky. 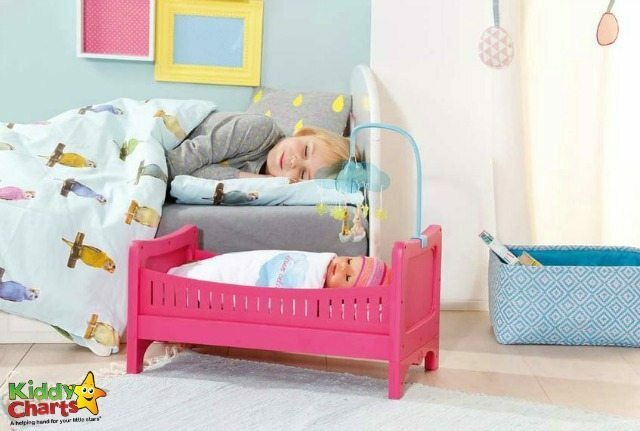 Being a real baby, BABY born® of course needs the bars around her bed. If her BABY born® Sister sleeps in it, the side parts can easily be removed, since she is already a little older. The prize for this Talk to Mums and Zapf sponsored giveaway includes a BABY born® Bed with headboard, night light function and sound, mobile, and reversible cover and cushion. As usual, just fill out this widget and you are away! You can also share your entry, and if your friends enter, you will get THREE more entry points too. We do run a few others giveaways on the site at most times, so be sure to sign up to receive our newsletter so you will never miss out on the new ones as we publish them all on our website. We wish you all good luck, and hope to see you on the blog again soon. We’ve always got something new and exciting every week for you all.